There is a new trend in weddings, and it’s called “Ballroom Wedding Dance Lessons”! 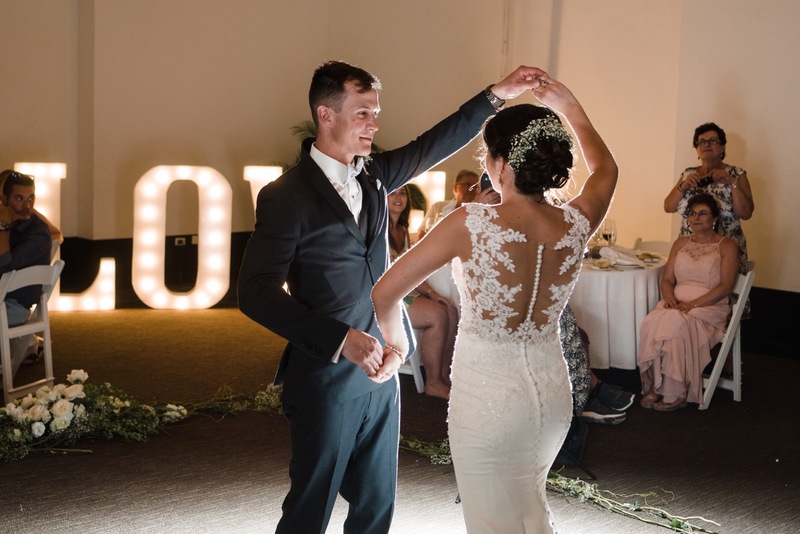 Did you know more brides & grooms are taking it to the dance floor in preparation for their first dance? Our studio specializes in making your wedding dance dreams come to life. Artistica instructors went on LIVE Rogers television “Georgina Life TV” to promote the “Dreams To Reality” wedding show held at the Sharon Temple. Artistica has a booth at the bridal show and will be offering demonstrations. Our instructors had tons of fun talking about what they encounter when teaching people how to Ballroom Dance. More importantly how to create a special memory with dance lessons and how easy learning can be for the newlyweds. Patrick and Kelly gave a wonderful demonstration on TV. Anastasia attempted to instruct and dance with the host! P.S: for anyone getting married, we offer two package options. An introductory package OR our wedding package to fit your perfect first dance needs. We will help with everything from minimal easy steps for folks with two left feet, or dive into choreography for those who want to WOW family & friends. Call today to schedule your free consultation to discuss your first dance! We will create a personalized dance program to make your wedding day and first dance even more special.